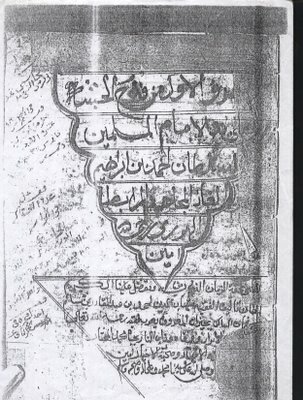 A copy of the manuscript Futuh al-Habasha by Shahab al-Din Ahmed b. Abdul Qadir "Arab Faqih." I copied it in the Asad Library in Damascus, Syria. 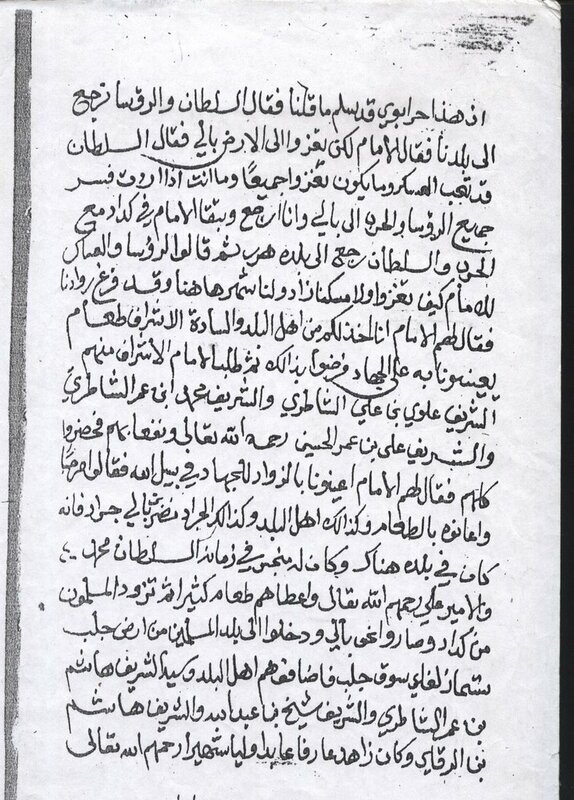 According to the Silti tribe and the Shareef's descendents, the manuscript mentions Hajji Aliyye who is buried in the mountains of Silte, Ethiopia. If there was any basis to this claim, the person would be a man mentioned as "Shareef Ali b. Umar al-Hasani." However, recent investigations has led me to question this Silti claim as well as the historical setting of Hajji Aliyye's migration. He most likely migrated to Silte lands with his own military movement years after the conquest of Ahmed Gran. 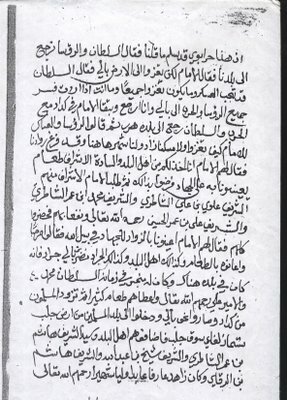 “I am very skeptical of Muslim tribes and families who claim descent from Ali b. Abi Talib without family trees that have been stamped by geneaology offices (from the Ottoman era, etc). I belong to Siltie tribe; I have known my parents and relatives spoke about Haji Aliye who gave a son whom he named Gun Siltie hence the name Siltie. I was a little distracted reading the story the way it was written, it could have been divided and under title and sub-title for the story to be readable. I must admire your tenacity to find out the branch of Ashraf to whom Haji Aliye belongs, that claim found to be true, it would make your discovery one of the most important discovery I have known as far as my tribe is concern. The top two paragraphs indeed saw doubt in my heart, that is not to say break in the lineage could not be connected. Iam a member ofthe hassan koweyni clan living in kenya and would like to inform you that hajji alliye's father is buried at kenyan/ethiopia/somali border near belet hawa of somalia while hassan koweyn was killed by one of the hawiye tribes known as garri asub clan of karanle who are currently settled at imi of the somali region of ethiopia. 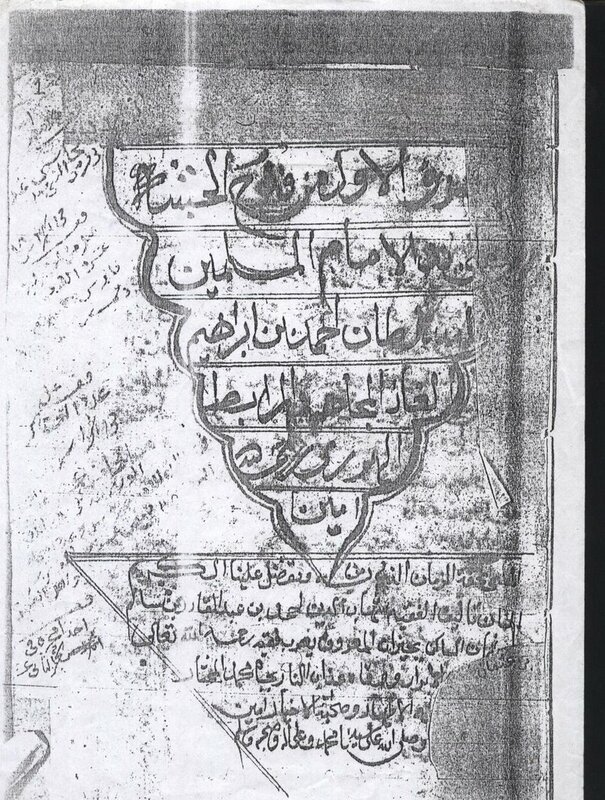 haji ali had abrother farah b.sa'd whose descendant are settled in the lower shebelle of somalia . the pop. is about 100000 people.our parents used to tell us that farah brother'S had disappaered into ethiopia without trace and has never been of heard of since about thirteen generations ago my approximmation about four hundred years ago.sai'd's mother came from the gare tribe of the tuff sub clan currently settled at elwak of kenya.the majority of the sai'd descendants todate live amongst the gare of somalia particulary in southern somalia and afew of us live in kenya in mandera ditrict. i say that am so happy to know that at last that ali sai'd descendants did exist and am looking forward to the day we shall meet and embrace each as brothers and sister.Besides the gruop in somalia another two are settled at ferfer somali region and the bale region around GINIRand goba woreda .this gruop lives amongst the gurre damole of the oromo region of ethiopia. the only way the descent of the silte people can be known is to conduct DNA test on them and the somali shariffs particularly the hassan kaweyni clan otherwise hajji ali could as well be any other person from harar. The hassan kaweyne family are wide spread in the horn of africa particularly in somalia and ethiopia.sheikh hassan descedants live in lasqorey in puntland they are refered to as abdirahman hassan kaweyne another family lives at zeylac and are refered to as abdullahi hassan kaweyne.These two families are the oldest amongst the sheikhs children. Do you have any information of Al-Nadiri of Ba-Alawis? the majority of descendents of sheikh hassan will be not more than thirteen generations on the malesideas at now.if you areclaiming this lineage and you more thirteen generations its possible that you may be from different lineage.